Email is still one of the major ways that people use to communicate every day. Statistics show that over 280 billion emails are sent each day and that number is expected to rise to 330 billion by 2022. 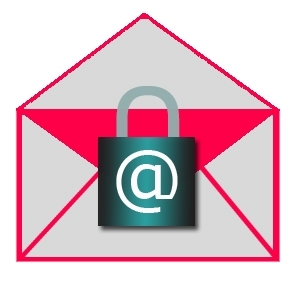 Because email is such an important tool for companies and organizations, it is important to ensure it is secure and safe to use. Unfortunately, hackers have a tendency to change their tactics often and it is not always easy to stay ahead of cybercriminals. In fact, two of the most common email attacks, phishing and spam messages get more and more sophisticated. In 2016, Hillary Clinton’s campaign chairman fell for a phishing email scam that compromised thousands of emails. It can be a challenge for those in the IT community to know for certain if an email is legitimate or not, according to expert Thierry LeVasseur. “It is essential for businesses to ensure their data and communications are secure and to relay that security to consumers,” he wrote on his blog. In a 2017 report, the FBI estimated that phishing emails cost organizations around $675 million, which is a considerable amount that reinforces the importance of businesses keeping their email systems secure. However, here are some of the top ways to keep your emails safe in 2019. Use AI to scan emails. Advanced scanning capabilities like Microsoft’s Advanced Threat Protection are able to validate links and attachments to emails before they are delivered to employees. Using machine learning, the software is able to analyze potentially harmful attachments of an email and also to send a warning to users if there is a suspicious link they are about to click. This helps reduce the likelihood that hackers can gain access to your company through malicious links or attachments. While employee awareness is important, not everyone is able to decipher between a legitimate message and one sent from a fake account. Better to be safe rather than sorry. Change your password often and employ extra security measures like 2-factor authentication. It is important that passwords be changed regularly and that users select ones that are difficult to guess. This means using upper and lower cases, numbers and special symbols like an exclamation mark rather than a word or phrase that hackers could easily discover. In addition, features like 2-factor authentication can help keep email accounts secure from unauthorized access.